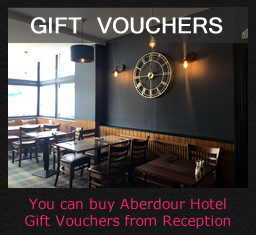 Here at the Aberdour Hotel we pride ourselves on the cuisine we offer to our hotel guests and other visitors. 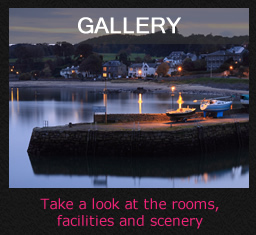 Our Chef and our team offer a mouth-watering selection of dishes using the finest produce from local suppliers. The Restaurant Menu is changed frequently and there are daily specials to ensure that regular guests benefit from a wide choice. All dishes are home-made with vegetarian, special diets and children happily catered for. 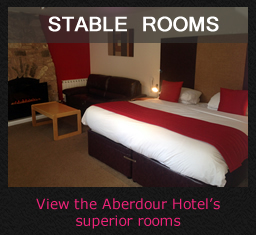 Our comfortable Lounge Bar with its welcoming log fire offers a range of lighter dishes. Please see our sample Menus below. A perfect accompaniment to every meal is a fine wine. We believe we have one of the best wine cellars in the local area offering carefully selected wines from the New and Old Worlds. Whether it is a traditional favourite such as a South African Sauvignon, an Australian Shiraz or a Chilean Cabernet Sauvignon, we are sure you will find something to please. As you would expect we also offer an extensive range of ales, including a guest real ale, lagers, the finest malt whiskies, liqueurs and aperitifs.